Tim started in the electrical industry in 1970, working on the late shift at Rodale Mfg. (a small wiring device manufacturer) while completing college. After completing school, he stayed with Rodale, moving into Inside Sales. In 1975, Rodale was acquired by Square D and Tim moved to Outside Sales, first as Regional Manager, then as National Sales Manager. In 1979, Tim joined Action Electrical Sales. He initially covered the Miami-Dade area, expanding to include Ft. Lauderdale and environs. Beginning in 1985, he began to cover the west coast of Florida from Naples to Sarasota. 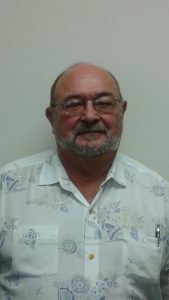 During this period of time, Tim became President of the Electrical Council of Florida – Dade County Chapter and was on the NEMRA Board for the Florida Chapter. He is a current member of Netcom 1 Networking Group. In 2003, Action Electrical Sales and Cleveland & Son merged to form CSA with Principals Ed Nelson & Tim McClarnon (Action) and George Cleveland and Jeff Cleveland (C&S). George has since retired. Tim’s wife of 18 years, Linda, passed away 3 years ago but he has two great kids, Danny and Michelle, and two grandsons, Danny and Dylan. Both grandsons are in high school and, like all grandchildren, are special. All live in the south Florida area.